A warm welcome in a new cottage built in 2000. The interior has been sympathetically fitted with reclaimed materials making for a homely atmosphere. Set in peaceful countryside with wonderful views close to Montrose Basin Nature Reserve, and within walking distance of the beach. All rooms en-suite and comfortably furnished with TVs and hospitality trays. Evening meals are available - good home cooking with strong emphasis on use of fresh produce including free range eggs. 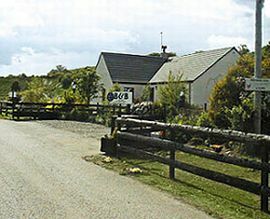 Ideally located for fishing, golf, cycling, walking and horse riding. Only 30 miles from Aberdeen and Dundee. Private parking. Single Room: £30.00 - £40.00. Twin Room: from £50.00 - £60.00. 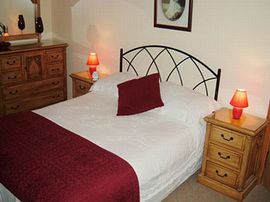 Double Room: from £50.00 - £60.00. Family Room: from £75.00 - £85.00. Special Diets Provision: Special diets are catered for. Phillip Schweisthoal Paris, France Very good hospitality Stina Madsen - Glasgow Cosy & warm Kathleen Law Newburgh, Fife Great stop on cycle route north/ homely Avril Windrum Sentosa, Crieff Really special place great to see all the animals Sharon Vincin Adelaide, South Australia Gorgeous location, lovely house very friendly June & Derick Russell Whitsone Very comfortable, super location - Thanks Sam & Audrey - Lisburn Lovely stay - Thank you EvaOlsson - Lallakoken Veldig bra og god fokost H. Ozkapici - Tukey Thanks for everything :) Ancli Benne Welzikon, Schuciz lovely house with a nice style Corinne & Pete Zinch, Switzerland Brilliant house!! Thanks!! Gary & Karen Burns Glasgow Very nice place & lovely house Laura Aufes - Italy Fantastic and your B&B is FINE Gordon & Swan - Blair Atholl Very comfortable and brill breakfast Bob & Lesley Oldfield Abergavenny The Best!!! Boselkurt Speilberg, Austrailia Nice place, Thanks John Maitland Oakham Rutland A great 10 day stay Don & Ruby Patterson Belfast So peaceful Graig Ross - Ont, Canada Great place Sabrina & Bash - Germany Nice to meet you.........Thanks!!!! Margaret White - Australia Great place Morag Clark - Helensburgh Thoroughly enjoyable stay Janet Founs Melbourne, Australia Very comfortable Suzanne Campell Melbourne, Australia Great setting! Geraldine Sharkey Tynesider Made to feel very welcome, you have a lovely home John Maitland - Oakham Super week.......thanks David Edgar - Edinburgh Very enjoyable once again Ron & Jill Scurfield Howlands, Hawick thankyou you made us very welcome Phil & Jan Picking - Carlisle Very comfortable and great breakfast Merram & Bella - Glasgow Fantastic!!!! Situated on a quiet Nature Reserve between Montrose and St Cyrus on the A92 heading towards Aberdeen. After crossing over bridge at the viaduct take the first sharp right turn signposted B&B, Beach. Follow A92 South towards Montrose, after passing through St Cyrus before the River Esk bridge, turn sharp left towards Beach and Nature Reserve. Eskview Farm is the first place on the left.